Depending on whom you believe, Anthony Kennedy’s retirement either means that Roe v. Wade will definitely be overturned — or else that it will probably be overturned (but definitely chipped away at). Regardless, one thing is certain: If the Supreme Court’s new conservative majority takes the right to reproductive autonomy away from the American (female) people, the vast majority of the U.S. electorate will be displeased. 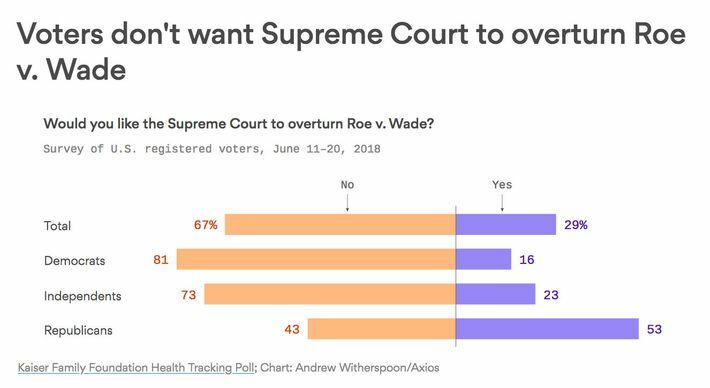 A new poll from the Kaiser Family Foundation finds that 67 percent of voters do not want Roe v. Wade overturned. Opposition is overwhelming among Democrats and independents. But, in another sign that the congressional Republicans do not actually represent the consensus views of their constituents, some 43 percent of GOP voters want Roe upheld (the percentage of Republican Congress members who’d be willing to espouse that position in public is in the single digits). What’s more, an analysis of Cooperative Congressional Elections Study data by the progressive think tank Data For Progress recently found that there is no state in the country where banning abortion in all circumstances has the support of even one-quarter of voters. 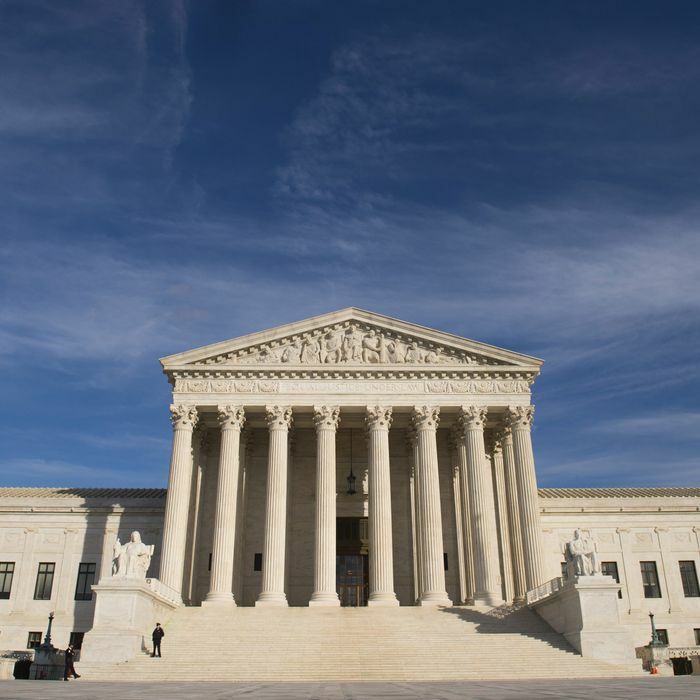 Conventional wisdom holds that this Supreme Court opening will help Republicans in November midterms by energizing religious voters. And there’s likely some amount of truth to that. But it’s worth remembering that these religious voters want things that the vast majority of Americans — and a significant number of Republicans — do not.